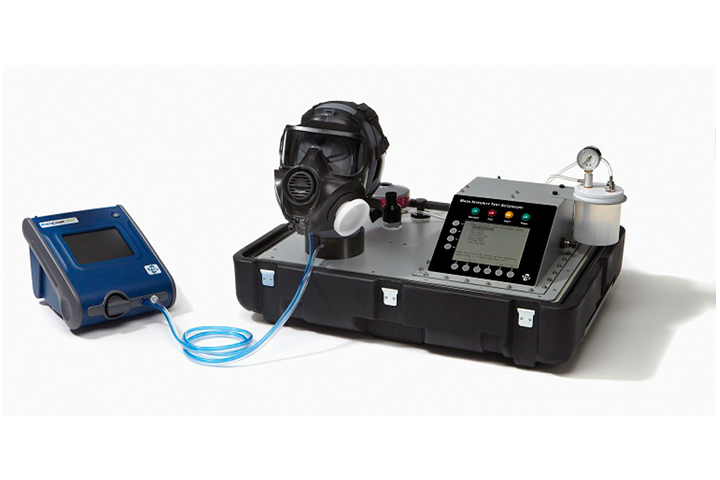 The Mask Integrity Test Accessory quickly detects leaks in CBRN gas masks and commercial respirators. It is ideal for mask integrity testing, exhalation valve testing and drink tube testing. 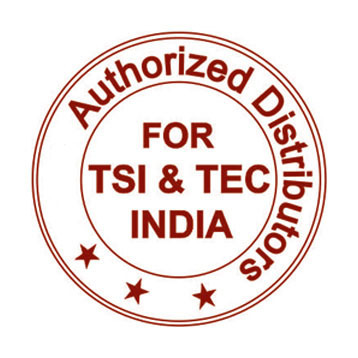 The TSI Mask Integrity Test Accessory (MITA) 8120 works in tandem with the CBRN Mask Protection Assessment Test System or PortaCount Respirator Fit Tester to quickly detect leaks in CBRN gas masks and commercial respirators and ensure your personnel are getting maximum protection. MITA assesses the overall integrity of masks by performing an aerosol leak test utilizing the PortaCount Respirator Fit Tester as a particle detector. While under conditions of negative pressure and constant flow, the mask is tested on a full headform with an enhanced bladder seal system to provide a tight seal for most CBRN gas mask and commercial respirator types and sizes. Testing masks on MITA’s full headform configuration allows for use of the mask’s head harness, mimicking a real-life application and providing more accurate test results. If a leak is detected during the assessment, the integrated aerosol wand and the generator are used to pinpoint invisible leaks for quick evaluation and repair. The operator uses the aerosol wand to direct a stream of concentrated particles at specific locations around the mask until the single-particle counting capability of the PortaCount Respirator Fit Tester detects the suddenly elevated particle concentration and alerts the operator. • Full headform configuration allows for use of the mask’s head harness, mimicking real-life application and providing more accurate test results. • Single head form with an enhanced bladder seal system creates a tight seal for most gas mask and full face respirator types and sizes.